1895 for 1859 Error. BPA Certificate. 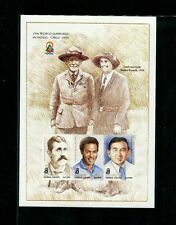 Fresh Unmounted Mint. Sierra Leone, MiNr. Land: Sierra Leone. 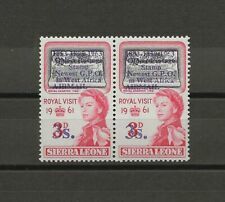 Sierra Leone #729-730, 732, 736, Disney, Grimm Fairytales, 4v. imperf proofs mounted in House of Questa folder, 4-6 exist, See photos (d18)(d869). Country: Sierra Leone, Year of Issue: 2019, Type: Stamp, Topic: Diamond. 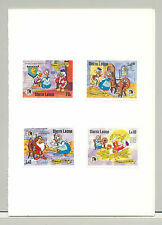 #1976-1977 Chinese New Year, Year of the Ox 1v M/S of 4 & 1v S/S Imperf Proofs on Plastic. (d58)(d3737). Sierra Leone. #1976-1977 Chinese New Year, Year of the Ox 1v M/S of 4 & 1v S/S Imperf Proofs on Plastic. Denomination different than issued. (d58)(d3738). Sierra Leone. Sierra Leone, Schiffe, MiNr. Motiv: Schiffe. Land: Sierra Leone. Early mint collection on specialty pages; all 1960's sets with all priced ages ago; a nice British area. #464, 469, 470 Birds 3v Imperf Blocks of 6 (d38)(d2639). Sierra Leone Mint & NH. #470 Owls 1v Imperf Sheet of 25 (d50)(d3168). 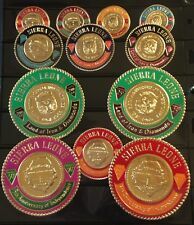 Sierra Leone Mint & NH. #472 Kingfisher, Birds 1v Imperf Sheet of 25 (d50)(d3171). Sierra Leone Mint & NH. #1516 Olympics, Sailing 1v Imperf Proof on Card, Cut Close on Left, Card is torn, does not affect proof 4-6 exist (d35)(d2524). Sierra Leone. Orchideen einwandfrei postfrisch. Orchids mint never hinged. (Sierra Leone 2017 Dirigibles - Mint Never Hinged (MNH). 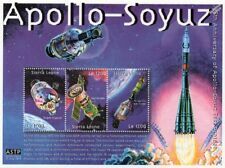 Sheetlet with 4 values (4v M/S) (Le 9800) - M Class. 3) Select each item and 'Add to Basket'.